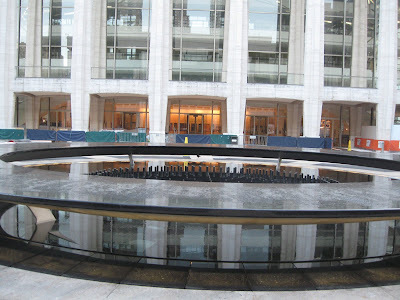 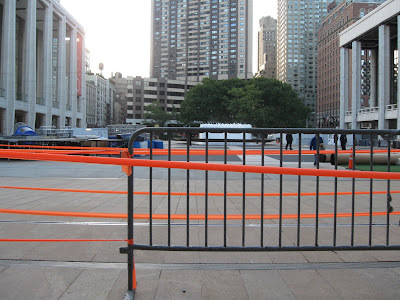 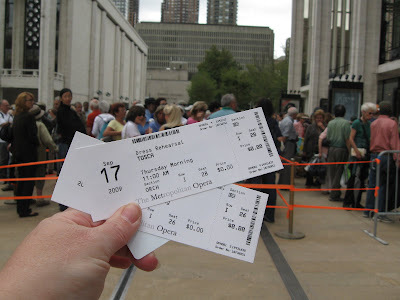 This morning we lined up in front of the Metropolitan Opera for free tickets to the open dress rehearsal of Tosca on Thursday, September 17th. 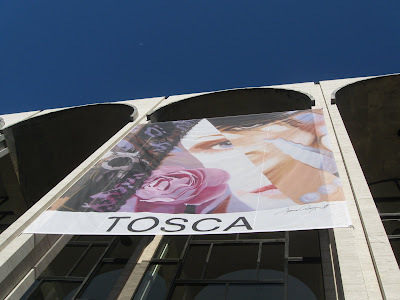 The fierce and fabulous Karita Mattila is Tosca in this new production. 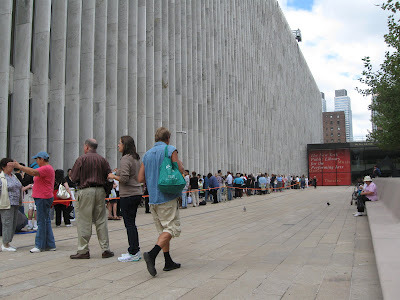 I arrived shortly after 7:00 am and was in the first 50-75 people, a crowd which eventually grew to around 1,500 ore more (3,000 tickets would be handed out, 2 per). 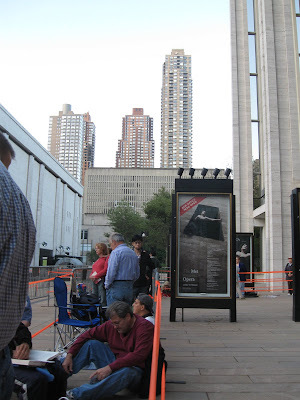 The first two crazies, er devotees, arrived at 2:30 am. 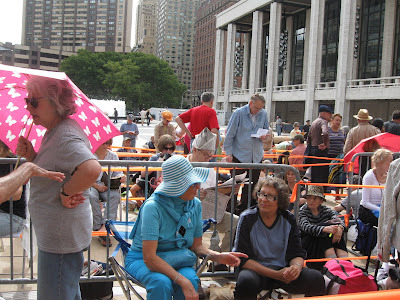 Mayor Josephine arrived at 5:30 am and was w/in the first 5. 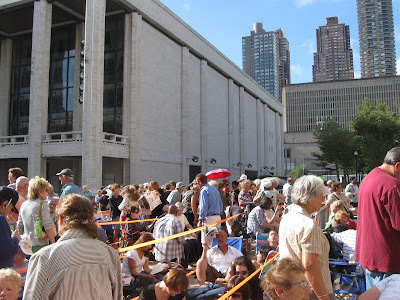 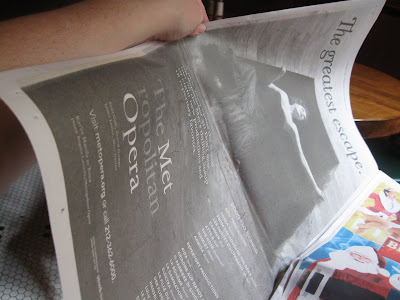 I saw some familiar faces, evidence of that wonderful and crazy community of opera lovers. 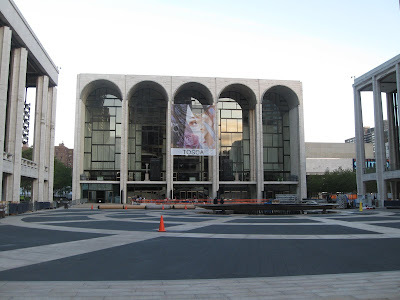 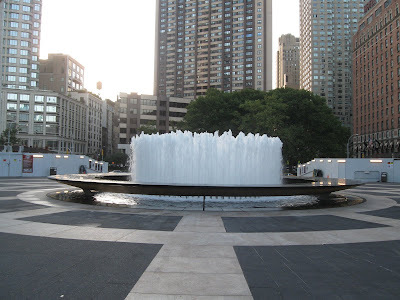 It was a gorgeous morning at Lincoln Center. 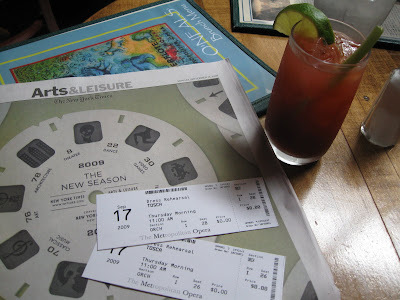 Just after noon, with tickets in hand, we retreated to gleefully sip our traditional post opera line Bloody Marys and nosh on turkey burgers.